On September 23rd 2015 brothers JJ (6yrs) and Zaki (1yrs) were diagnosed with a very rare brain disease called Cerebral ALD. Cerebral ALD is a deadly genetic disease that effects 1 in 18000, it is most fatal in boys and the onset is normally between the ages of 4-10yrs old. ALD destroys Myelin, the protective sheath that surrounds the brains neurons - the nerve cells that control everything we do. ALD is very progressive and in a short period of time, as the disease ravages the brain, a child who is perfectly happy and normal can start to show behavioural problems, blindness, deafness, seizures, loss of muscle control, progressive dementia, leading to a vegative state and death. This normally happpens within 2-5yrs of onset. The damage to JJ's brain has already started and he requires treatment NOW! As ALD is so rare the only available treatment is bone marrow treatment which runs very high risks and could actually increase the rate of deterioration. More recently stem cell therapy has been trialled to treat ALD with higher success rates. However the only option for JJ is bone marrow treatment because time is against him and we simply can not afford Stem cell therapy as this is only a private treatment. Since diagnosis in September we have been searching for a donor match and we have finally found one! However since then the damage has increased which also increases the risks of the treatment. The damage has not yet started in Zaki's brain but he will have to go through MRI scans every 3months to monitor the disease and only when the damage starts will the doctors be able to assess him for treatment which will also be a race against time. Since diagnosis JJ and Zaki have had numerous hospital visits, MRI scans and lot's of uproot to their lives and this is only the beginning. When JJ starts treatment he will be relocated to Bristol, isolated from all of his family and friends and he will be in hospital for several months. Zaki will stay with his Dad back in London. With JJ needing fulltime care and me and him relocating to Bristol I will have to give up work and with Dad looking after Zaki our lives are about to drastically change. 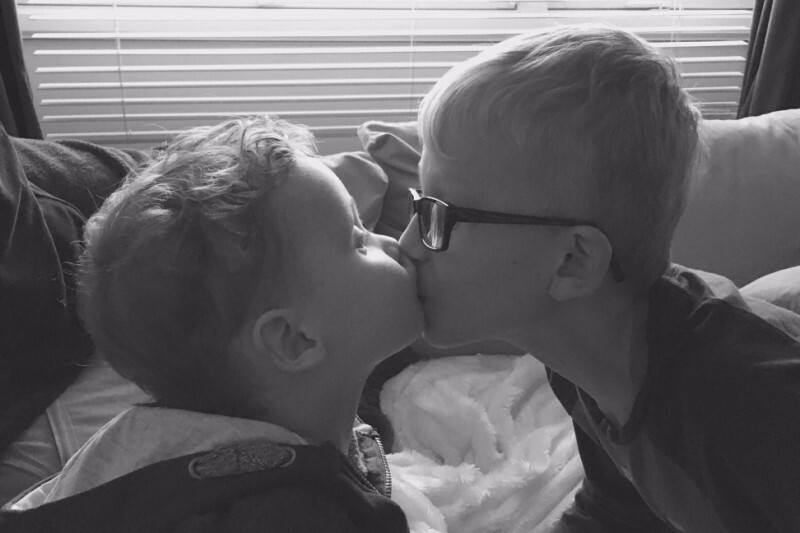 Please support my two amazing, brave ,beautiful sons through this devastating journey. JJ requires a lot of care throughout treatment and after, and we are hoping to raise enough funds to be able to give Zaki stem cell therapy when the time comes! All of your continued support, kind words and donations mean so much and are giving us all the motivation to fight ALD as best we can!